Edge detection has been a long standing topic in image processing, generating hundreds of papers and algorithms over the last 50 years. 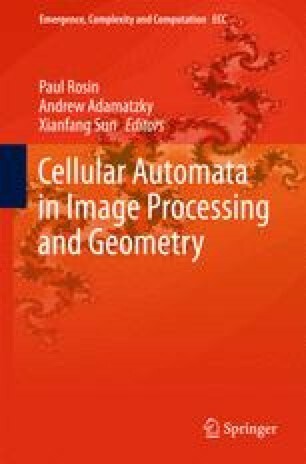 Likewise, the topic has had a fascination for researchers in cellular automata, who have also developed a variety of solutions, particularly over the last ten years. CA based edge detection has potential benefits over traditional approaches since it is computationally efficient, and can be tuned for specific applications by appropriate selection or learning of rules. This chapter will provide an overview of CA based edge detection techniques, and assess their relative merits and weaknesses. Several CA based edge detection methods are implemented and tested to enable an initial comparison between competing approaches.